Integra Chit plus is a proven quality Chit Fund / Kuri Management package used by several organizations spread all over Kerala. The latest version of Integra Chit Plus incorporates all statutory requirements as required by the new Kerala Chit Fund Rules 2012. User can easily take print outs of all forms that required for registration of chits, periodical statement and reports which to be submitted with the registrar of chits. 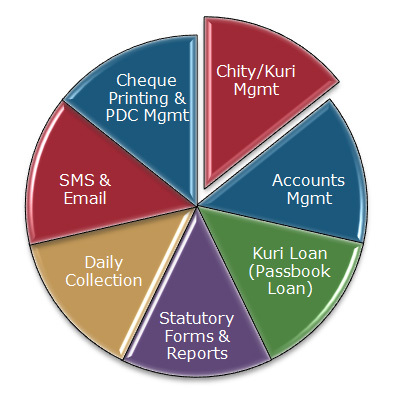 Integra Chit Plus has single, multi user (LAN) and online (WAN) versions that integrate all functional modules of a chit/kuri business such as Kuri Management, Kuri Loan (Pass book Loan) and Financial Accounting. It is totally menu driven and the screens are designed to improve user productivity, ease of use and user friendliness.